2017 NCAA Women's Basketball Exhibition. 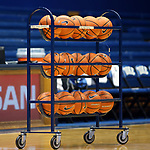 Duke 87-56 Alaska Anchorage at Cameron Indoor Stadium. Photos by Andy Mead/YCJ.